The metal closure of the iconic Furla Metropolis bag is decorative yet strongly recognizable. One practical open pocket is available on the inside of this compact bag in textured leather. Gold-tone metal feet protect the bottom from wear and tear. 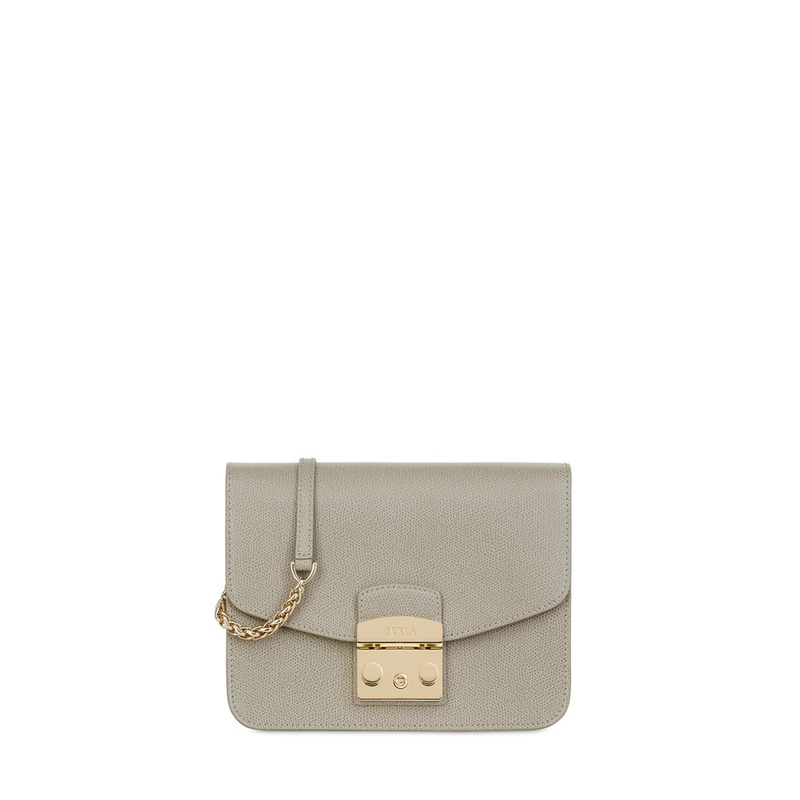 It can be carried as a crossbody bag or as a shoulder bag; thanks to its length-adjustable and removable shoulder-strap in metal chain and leather.